After, they dined with me, and talked after dinner, and saw some pastime, and so went home again. … The same night mons. le marechal St. Andrew supped with me; after supper saw a dozen courses [jousting] … The next morning he came to see mine arraying, and saw my bedchamber, and went a hunting with hounds, and saw me shoot, and saw all my guard shoot together. He dined with me, heard me play on the lute, ride, came to me in my study, supped with me, and so departed to Richmond. What kind of portraits were these? Since it is clear that little Elisabeth stood before her betrothed’s image in her room it must have been a panel painting, probably of life size and in full length; after all, Edward was a king. According to Leon Battista Alberti, the great Renaissance theorist, such a portrait made “the absent present”.4 On the other hand, the picture sent by the French to England, and executed by a female artist named Elizabeth, was almost certainly a portrait miniature. Fortunately, both paintings seem to have survived to this day: Edward’s in the Louvre, Elisabeth’s in the Royal Collection. Thes may be to signyfy unto your Lordship that aboute halffe yere or more paste at soche tyme as Guydot gave unto the Kinges Majestie a gylt cupp he also presented unto his highnes a pycteur of the lady Yzabell the Frenche Kynges doughter with whom now the contract between the Kinges highnes and his majestie ys begon to be made and for asmoche as yt might be that the sayde Guydot in that be halffe was but an instrument to others as peradventure to the Frenche quene her own silffe, who as I understand ys the most desyerus woman of the world that her doughter mought be bestowed here to our master, yt wold not do amys therfor in my opinion to shewe the sayde pyctour to the marshall afore the takinge of his leve of the Kinge. Yt be nether herre nor ther for the matter yet perhapps yt wolde motche satisfy the saide quene whos practys I thinke veryly yt was to send it, that the same sholde apere to her not to be rejectyd, wherfor I have thought good to send the saide pycture to you yf the Kinges plesser be so to do that the same sholde be in a redynes; for the laste day lookinge in a deske of myne I founde yt there and marvelinge a while whose yt shold be, yt cam to my remembraunce that at soche tyme as Guydot made the present of yt to his majestie, his highnes deliverde it to me and comandyd me to kepe yt, thinkinge yt my dutye to send yt to his highnes with the consideration before rehersed referringe thexecuting therof to his majesties owne apetyt. Literary Remains of King Edward the Sixth. Volume II. (ed. G. J. Nichols, 1857). Roxburghe Club. Bolland, Charlotte and Cooper, Tarnya (2014): The Real Tudors: Kings and Queens Rediscovered. National Portrait Gallery. Hoak, Dale (1980): ‟Rehabilitating the Duke of Northumberland: Politics and Political Control, 1549–53“ in: Jennifer Loach and Robert Tittler (eds. 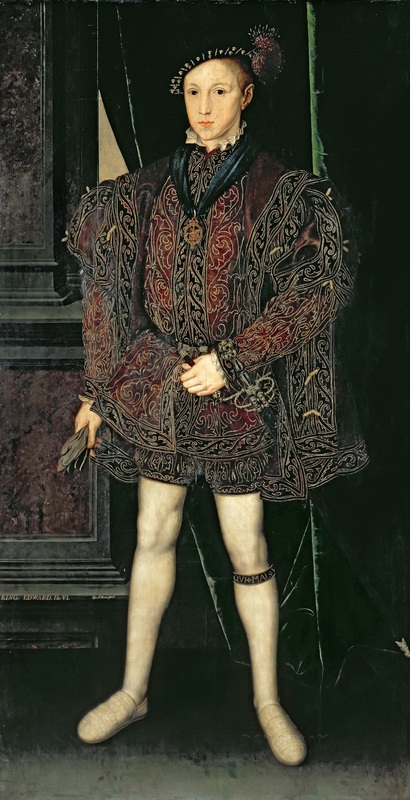 ): The Mid-Tudor Polity c. 1540–1560. Macmillan. Loach, Jennifer (2002): Edward VI. Yale University Press. 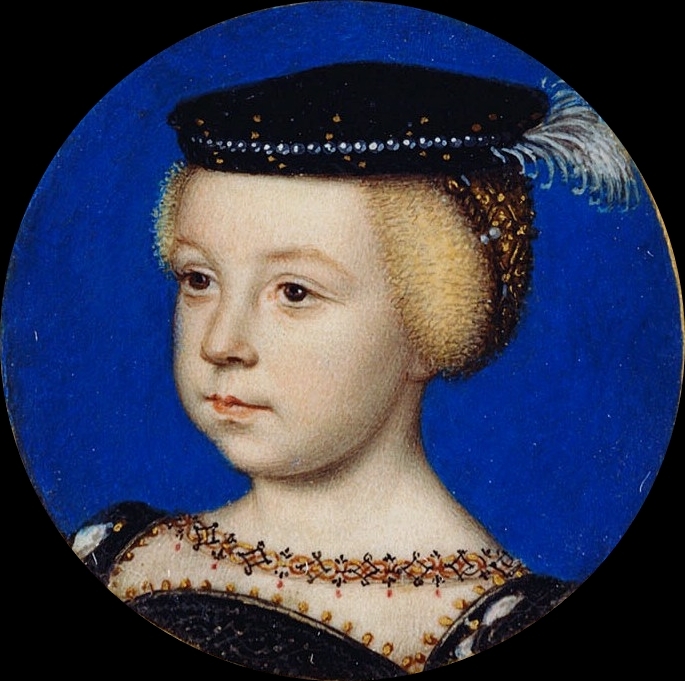 This entry was posted in Edward VI, John Dudley, letters, paintings and tagged ambassadors, Catherine de Medici, Elisabeth de Valois, France, Italian, jewels, Thomas Darcy. Bookmark the permalink.